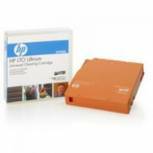 HP Ultrium LTO-5 3.0TB Data Cartridge C7975A Pack of 1 HP lto-5 Ultrium RW Data Cartridge. Provides reliable data protection and ensure full use of capacity. Capacity: 3TB. OEM: C7975A. OEM: C7975A. HP Ultrium LTO-6 6.25TB Data Cartridge C7976A Pack of 1 HP Ultrium LTO-6 6.25TB Data Cartridge (Pk 1) C7976A Based on revolutionary LTO technology. Designed to withstand over 1 million passes and provide an archival storage life of 30 years. OEM: C7976A. 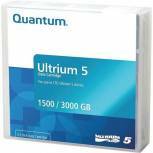 Quantum LTO-5 Ultrium Data Cartridge 1.5TB/3TB MR-L5MQN-01 Pack of 1 LTO-5 media cartridge for Ultrium tape drives. 1.5TB/3TB capacity (native/compressed). Rewritable format: can be erased and re-used. AES 256-bit encryption as standard to protect data. Pack of 1 cartridge. 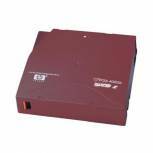 Imation S-DLT-2 300/600GB Data Cartridge i16988 Pack of 1 Super DLT tape technology provides 600GB of compressed storage capacity designed for SDLT 600 drives. Imation Super DLT tape II Cartridges provide up to 600GB of storage and enables a 72MB/s transfer rate. HP Ultrium LTO-2 400GB Data Cartridge C7972A Pack of 1 HP Ultrium Data Cartridge offers up to 400GB (compressed) capacity on a single cartridge. Based on LTO technology and designed to withstand over one million passes and provides an archival storage of 30 years giving exceptional performance. OEM: C7972A. 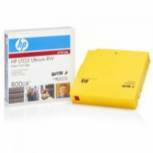 HP Ultrium LTO-3 800GB Data Cartridge C7973A Pack of 1 HP Ultrium data cartridges feature active internal head cleaning, self-diagnostic capacities, cartridge memory and are designed for long life and reliability. 800GB. Rewritable. Ref: C7973A. OEM: C7973A. HP Ultrium LTO-4 1.6TB Data Cartridge C7974A Pack of 1 HP LTO4 Ultrium data cartridges feature active internal head cleaning, self-diagnostic capacities, cartridge memory and are designed for long life and reliability. 1.6TB. Ref: C7974A. OEM: C7974A. HP Ultrium LTO Universal Cleaning Cartridge C7978A Pack of 1 HP Ultrium Cleaning Cartridge. Original HP supplies that guarantee reliability and output quality ensuring clear, sharp results every time. Manufacturers ref: HPC7978A. OEM: C7978A.